The New Moon is always a conjunction of the Sun and the Moon. It starts a new lunation cycle. The first New Moon of the year on Jan. 20, occurs in the first degree of Aquarius. Aquarius is an air sign in which innovations, radical thinking and group consciousness flourish. The first degree of a sign (any sign) also starts a new phase. The now beginning phase is going to be an adventure. The January New Moon in Aquarius is in exact square to a trans-Neptunian object in Taurus called 1992 QB1. QB1 was the first body found beyond Neptune since the discovery of Pluto in 1930. It was found by astronomers David Jewitt and Jane X. Luu in 1992, and it still hasn’t been named, so we just call it QB1. The discovery of QB1 proved the existence of the Kuiper belt, which had only been hypothesized till then. The discovery of QB1 was the turning point. After that, an avalanche of discoveries of Kuiper belt bodies has followed. Currently the number of known trans-Neptunian objects is over 1,500. On Jan. 5, 2015, was the 10th anniversary of Eris’ discovery, the body which caused havoc among the astronomers and led to demotion of Pluto among the planets in 2006. In honor of Eris, the discoverer Mike Brown published an article, where he looks back at the exciting early years, when every morning coming into the office and analyzing the data that the computer had worked on the night before, could have led to a new huge discovery. Since then the astronomers have processed their data again and again. The survey has covered the entire sky. Now, a decade after Eris, Mike Brown is announcing that there are no more bright new objects in the outer solar system to be discovered. This does not mean that there would not be any new objects at all in the sky to be found. At the outermost edge of the solar system is a region called the Oort cloud. More objects like Sedna on very long orbits will enter our consciousness when the time is right. 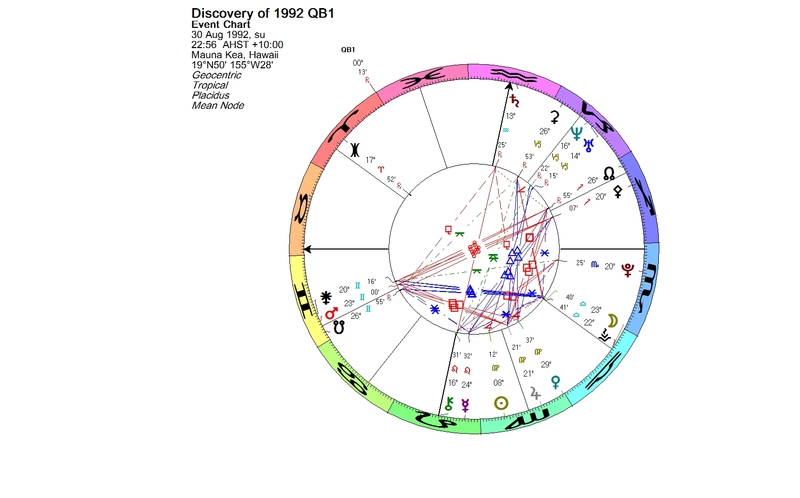 In 1992, QB1 was discovered at the Aries Point, the first degree of the Aries sign, the point which indicates public contact and how the larger world sees us. Now QB1 is in the first degree of Taurus. Its journey through Aries has taken 22 years, the time within which all the bright Kuiper belt objects were found. Taurus establishes the action which starts in Aries. With this New Moon, now that QB1 has ingressed in Taurus, we astrologers could follow the example of astronomers and take a new survey on the new planets, because it can take a long time before their meanings have revealed. Maybe something was not noticed on the first round. We could check our charts, notes and delineations once again. Hopefully also newcomers join the adventure. 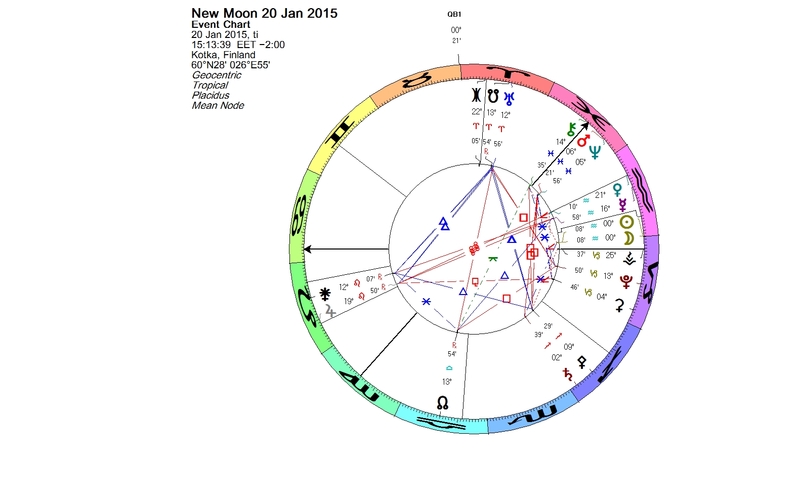 This entry was posted on Saturday, January 17th, 2015 at 12:50 am	and is filed under New Moon. You can follow any responses to this entry through the RSS 2.0 feed. You can leave a response, or trackback from your own site.